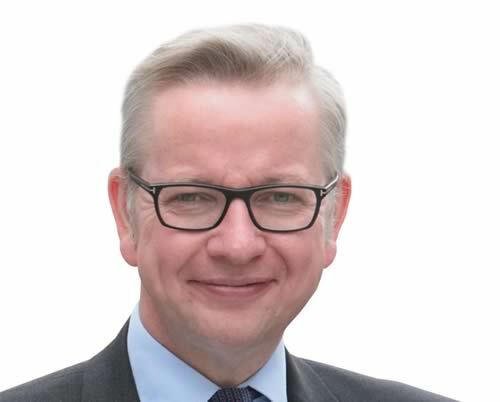 A transcript of the speech, exactly as it was delivered by Secretary of State Michael Gove at the Oxford Farming Conference 2018 setting out his vision on the future of our farming industry. And, of course, I’ll say something in a moment about the specific opportunities and challenges for agriculture on leaving the European Union. However, if we’re going to make the most of those opportunities and overcome those challenges it’s critical that we recognise that there is much, much, more that is changing in our world than our relationship with the EU. As we saw in the presentation at the beginning of this session, the world’s population is growing at an unprecedented rate, with a worldwide migration from rural areas to cities and a growth in the global middle class which is driving demand for more, and better quality, food. Technological change is at an inflection point. Developments in big data, artificial intelligence and machine learning mean that processes which would have required the intellect and effort of thousands of humans over many hours in the past can be accomplished automatically by digital means in seconds. These technological breakthroughs raise political and moral questions as we consider how we deal with the transformation of a huge range of existing jobs. And alongside these changes in the world of information technology there are bio-tech changes coming which also challenge us to think about the future, and how best to shape it. Gene editing technology could help us to remove vulnerabilities to illness, develop higher yielding crops or more valuable livestock, indeed potentially even allow mankind to conquer the diseases to which we are vulnerable. Food in abundance, improved health, greater longevity: these are all goals to which our species has aspired since the first farmers waited for the first harvest. But in attempting to shape evolution more profoundly than any plant or animal breeder ever has done before are we biting off much more than we can chew? And these are not the only changes coming. Our global environment is affected as never before by the population growth I’ve referred to, and the consequent growth in demand for nutritious food, safe drinking water, comfortable housing, reliable energy and new consumer goods. The growth in trade which will meet those needs will depend on more packaging, more journeys by air, land and sea, more logistics hubs and more work by designers, marketers and, yes, regulators. The pressures placed on our global environment by this growth I’ve sketched briefly out will be formidable – whether it’s greenhouse gas emissions in our atmosphere contributing to global warming, desertification and soil erosion reducing the space for cultivation, deforestation leading to the disappearance of valuable carbon sinks and precious habitats, air pollution from traditional industry and intensive agriculture adding to health costs, waste poisoning our oceans or iconic landscapes under threat from the need for further development. Without action we face the progressive loss of the natural capital on which all growth - natural, human and economic - ultimately depends. So the imperative to husband, indeed wherever possible, enhance our natural capital - safeguarding our oceans, cleaning our rivers, keeping our soils fertile, protecting biodiversity - has to be at the heart of any plan for our country and our world. Because we cannot expect to live prosperous and civilised lives in the future unless we recognise that we have to care for that which gives us all life - our planet. And that knowledge is itself a catalyst for further change. The need to protect our planet better is already accelerating innovation- with entrepreneurs exploring how to develop autonomous electric vehicles, how to change the energy mix we all rely on, how to reduce our reliance on plastics, how to derive more protein from plants rather than animals, how to grow produce, whether hydroponically or by other means, which leaves a lighter imprint on the earth, how to use distributed ledger technology to protect habitats and so much more. So the reality of our times is not just change as the only constant but accelerating change as the new normal. Which is why the title of this conference - Embracing Change - is so appropriate. Because the changes which are shaping all our futures are so historically significant, technologically revolutionary and economically transformative that we have no choice but to embrace them and try to shape them in a progressive and judicious way. Now I know there is, of course, a natural human desire to stick with what we know, trust to experience and hope things can go on much as before. To prefer the tried to the untried. You hear it when some in industry, and indeed some in the farming industry, say that what we need most at the moment is certainty. I understand that sentiment all too well. As I think does almost everyone in politics. But the truth is that if we try to avoid change, hold the future at bay and throw up barriers to progress then we don’t stop change coming, we simply leave ourselves less equipped to deal with change as it arrives. The history of nationalised industries, state subsidies for particular sectors, guilds to restrict access to trades, high tariff walls and all the other tools of so-called economic “protection” is a melancholy one. The road is paved with good intentions - preserving strategic assets, insulating communities from change, protecting our home market, guaranteeing a supply of essentials. But the path inevitably involves higher costs for consumers, lower productivity from producers, less pressure to husband scarce resources, less concern about sustainability, more rent-seeking and capital accumulation, less investment in innovation, less dynamism and ultimately, less security as others forge ahead economically, scientifically and socially. If we want to preserve that which we cherish - a thriving agriculture sector, a healthy rural economy, beautiful landscapes, rich habitats for wildlife, a just society and a fair economy - then we need to be able to shape change rather than seeking to resist it. And the best way to deal with change is to develop adaptability. As we know from the natural world, the best way to thrive in a new environment is to evolve. What we should, therefore be looking for in agriculture policy, indeed in all economic policy, is not an illusory fixity or a false sense of certainty, which by definition future events we cannot foresee will always upend. What we should instead be seeking to cultivate are the resources, policies and people that will allow us to adapt, evolve and embrace change as an ally. Which takes me to Brexit. Of course Brexit will mean change. But, critically, what it means most of all is that we can once more decide how we shape change and how we meet the challenges ahead. It means we don’t need any longer to follow the path dictated by the Common Agricultural Policy. We can have our own - national - food policy, our own agriculture policy, our own environment policies, our own economic policies, shaped by our own collective interests. The CAP was designed, like so many aspects of the EU, for another world, the post-war period when memories of food shortages were hauntingly powerful and the desire to support a particular model of land use was wrapped up with ideas of a stable countryside that seemed reassuringly attractive after the trauma of industrial-scale conflict. Of course, the CAP has evolved, and indeed improved, over time. But it is still a fundamentally flawed design. It gives the most from the public purse to those who have the most private wealth. It bids up the price of land, distorting the market, creating a barrier to entry for innovative new farmers and entrenching lower productivity. Indeed, perversely, it rewards farmers for sticking to methods of production that are resource-inefficient and also incentivises an approach to environmental stewardship which is all about mathematically precise field margins and not truly ecologically healthy landscapes. As recent scholarship has shown, the so-called greening payments in Pillar One have scarcely brought any environmental benefits at all. And by we, I mean Defra most of all. Now I don’t want anyone to get hold of the wrong end of the stick. The Department I am privileged to lead has some of the finest public servants in the country working for it. Whether it’s the policy professionals, economic analysts, vets, IT engineers, botanists and horticulturalists or hydrologists and geologists, it is a pleasure to work with such dedicated, idealistic and passionate people. But while the people are brilliant, some of the processes are not. The ways in which we provide financial support to farmers have been far too bureaucratic – not helped by the ludicrous rules and red tape of the CAP that Defra must try to enforce. The Rural Payments Agency has historically taken far too long to get money from Government to farmers. And the Countryside Stewardship schemes we have run have been dizzyingly complex to apply for – I have made my views on this clear. All this when it’s our stated aim to allocate more funding for agri-environment schemes. We have taken action in the last few months to drive change in these areas, and will seize opportunities to develop a different regulatory culture once we have left the European Union. I am encouraged so far that the RPA paid over 91% of farmers their basic payment for this year by the end of December 2017. Encouraged but not satisfied. Which is why I am looking for a new chair of the RPA to work with the Chief Executive and his team to drive further improvement. On Countryside Stewardship, I want schemes simplified to the extent that any farmer - any farmer - can complete an application in a working day. Starting at the computer after breakfast the whole process has to be able to be finished by six o’clock when it will be time for a well-deserved pint. I’m pleased that Andrew Sells and his team have responded to the challenge with a set of simplified offers which have, already, received a warm response. But, again, we need to go further and develop a much more responsive and efficient model. And that’s not all we need to change. Related to the whole question of how we allocate support, we also in Defra need to change our approach to inspection. We inspect too often, too ineffectively and in far too many cases for the wrong things. At any moment, a farmer could be visited by the Rural Payments Agency, Natural England, The Animal Plant and Health Agency, the Environment Agency or their local authority. Each body may ask for slightly different information, or even the same information in a slightly different way. Each visit adds to the burden on farmers, yet there is much overlap without proper coordination. The CAP’s inflexibilities, including the ever present fear of disallowance, means we inspect rigidly for precise field margin dimensions and the exact locations of trees in a near-pointless exercise in bureaucratic box-ticking while, at the same time, we inspect haphazardly and inefficiently for genuine lapses such as poor slurry management or inadequate animal welfare. That is why I hope to look at how we can reduce the number of inspections overall, make them more genuinely risk-based and have them focus on those, limited, areas where standards are not where they should be. And there is much more we need to change across the board to make the Department more effective. Processes far beyond support payments and inspections are ripe for modernisation. Take our guidance on the provision of export health certificates still requires the use of carbon paper. While IT systems have been improved we are still some way away from exploiting advances in data analytics which we can use to shape and refine policy and delivery. And even at the most basic level we are not the champion we need to be for British food and farming. Despite hugely energetic efforts by my predecessors, we can still do more to improve the procurement of British food across the public sector. But I am determined to drive that change. Energetically. And across Government. As well as making Defra a more efficient, focused and, above all, innovative department I also want to drive change in 4 specific areas. I want to ensure we develop a coherent policy on food - integrating the needs of agriculture businesses, other enterprises, consumers, public health and the environment. Second, I want to give farmers and land managers time and the tools to adapt to the future, so we avoid a precipitate cliff edge but also prepare properly for the changes which are coming. Third, I want to develop a new method of providing financial support for farmers which moves away from subsidies for inefficiency to public money for public goods. And finally, I want to ensure that we build natural capital thinking into our approach towards all land use and management so we develop a truly sustainable future for the countryside. On food, first of all, I want to underline that I recognise the heart of almost all farming businesses is food production. And a core element of Defra’s mission is supporting farmers in the provision of competitively-priced, healthy, sustainable and nutritious food, and pursuing greater market access. But I believe it’s critical as we think of food production and the role of farming in the future that we develop policy which looks at the food-chain as a whole, from farm to fork, and we also recognise the economic, health and environmental forces shaping the future of food. That’s why I’m glad that my colleague Greg Clark, the Business Secretary, announced the creation of a Food and Drink Sector Council in his recent Industrial Strategy White Paper, whose first task will be to develop the emerging proposals for a food and drink manufacturing Sector Deal. The White Paper also committed to a new challenge fund to transform food production. This will help support farmers and food manufacturers to improve the sustainability and nutritional benefit of food. Food and Drink is the UK’s biggest manufacturing sector and one of its fastest growing with an increase of 8% in exports to the EU and 10% in exports outside the EU in the first three quarters of last year alone. That success has been built on a reputation for quality and provenance, on the knowledge that we have among the highest environmental and animal welfare standards of any nation on earth. So people know when they’re buying British they’re buying food which is guaranteed to be high quality and more sustainable. That’s why it would be foolish for us to lower animal welfare or environmental standards in trade deals, and in so doing undercut our own reputation for quality. We will succeed in the global market place because we are competing at the top of the value chain not trying to win a race to the bottom. And Government can help in that process by under-writing that reputation for quality. Which is why I want us, outside the EU, to develop new approaches to food labelling. Not just badging food properly as British, but also creating a new gold-standard metric for food and farming quality. There are already a number of ways in which farmers can secure recognition for high animal welfare or environmental standards from the Red Tractor scheme to the Leaf mark. But while they’re all impressive and outstanding there’s still no single, scaled, measure of how a farmer or food producer performs against a sensible basket of indicators, taking into account such things as soil health, control of pollution, contribution to water quality as well as animal welfare. We’ve been in discussion with a number of farmers and food producers about how we might advance such a scheme and I think that, outside the EU, we could establish a measure of farm and food quality which would be world-leading. Because while price will always be a factor in the choices consumers make, they are also increasingly making choices based on other factors too. If we look at some of the fastest growing food brands, providing the most value added for both consumers and producers, then it’s being able to provide certainty over origins, traceability of ingredients, integrity in production and a distinctiveness in taste which matter more and more. Whether its Belvoir soft drinks or Botanist Gin, organic milk or West Country Farmhouse Cheddar, grass-fed beef from Devon or Welsh lamb, Cumberland sausages or Melton Mowbray pork pies, Tyrell’s crisps or Forman’s London cured smoked salmon, the future profits in food production lie in distinctive quality produce. And Government can help, by acting as a champion for British produce in foreign markets, operating a better procurement policy at home, keeping existing market access open and securing new free trade deals for producers. I understand that people in this room, and beyond, particularly want to know what will happen to access to our biggest export market - the EU 27. By definition, we cannot yet know the final outcome of a trade negotiation which is about to get underway, and Defra is preparing for every eventuality. But we are confident of building a new economic partnership with the EU that guarantees tariff-free access for agri-food goods across each other’s borders. We know that we have a deficit in agricultural and horticultural produce with the EU 27. Irish beef farmers, French butter and cheese producers, Dutch market gardeners and Spanish salad growers all have an interest just as, if not more acute, than Welsh sheep farmers or Ulster dairy farmers in securing continued tariff-free access between the UK and the EU. But we should be, and we are, more ambitious than that. Securing greater access to, and penetration of, other markets will be important to British agriculture’s further success. Increasing exports to, for example, China is not just a good in itself in trade terms it also helps the business model of many farmers to work even better. There are, as we all know, parts of the pig for example which don’t find favour with the British consumer but which are delicacies in China. Satisfying that demand means other parts of the carcase can be used to meet demand at home, or indeed elsewhere in Europe, which is currently met by Dutch and by Danish farmers. Pursuing new trade opportunities outside Europe can make us more competitive with Europe. Which is why it is so encouraging that my colleague Liam Fox has made boosting our trade in food and drink a central priority for 2018. Government can also intervene closer to home where there is market failure. When, for example some powerful players in the food chain use the scale of their market presence to demand low prices from primary producers who are much smaller and dis-aggregated. That is why my colleague George Eustice is looking now at overall fairness in the supply chain. We can ensure that our interventions as Government are designed to generate growth are applied fairly. So, for example, we can look at how the apprenticeship levy works to see how money identified for improving skills training can be spent more effectively across supply chains - helping smaller businesses as well as larger concerns. We can, and should, invest in both technology and infrastructure. We can direct public money to the public goods of scientific innovation, technology transfer and, crucially, decent universal super-fast broadband. And we must, of course, think about how to make sure the labour market works effectively as well, so businesses can continue to secure a proper return on their investment. That means not just a flexible migration policy overall, but as we leave the EU, ensuring access to seasonal agricultural labour. But while Government has a clear role to play in all of these areas in supporting food production it’s also important that we all appreciate that ultimately, quality food is generated not by Government, but by innovative and entrepreneurial producers responding to consumer preferences and market signals. And the best way to ensure consumers have the full choice of quality food they want is not to try to satisfy every need with home produce, but to pursue comparative advantage. So Government must recognise that its interventions need to be targeted, proportionate and limited. Subsidies linked to the size of land holding, or headage payments, reward incumbents, restrict new thinking and ultimately hold back innovation and efficiency. Industries which come to rely on importing cheap labour run the risk of failing to invest in the innovation required to become genuinely more productive. Labour-intensive production inevitably lags behind capital-intensive production. And having a subsidy system which incentivises farmers to place every acre they can into food production means that public money isn’t always being spent on renewing natural capital assets like forestry and wetlands. As well as thinking about how our interventions to support food production currently affect the environment, we also have to consider the impact on the nation’s health. Ours is the first generation where more people succumb to non-communicable conditions than to infectious diseases. The risk to public health from contagious conditions is diminishing, the rising dangers are obesity, diabetes, coronary failure, cancer and deteriorating mental health. And diet plays a part in all these conditions. Helping people to make better choices in what they eat is fraught territory politically. And looking at my own waistline I should bear in mind that it is incumbent on he who talks about dietary sins to lose the first stone. But Government does have a public health role. As Education Secretary I introduced a School Food Plan not just to ensure school meals were healthier but also to educate children about where food came from and how to make healthy choices about buying, preparing and enjoying food. And in this role now, I have a responsibility to ask if public money supporting food production is also contributing to improved public health. And indeed I also have a responsibility to ask if all the incentives and Government interventions everywhere in the food chain work towards economic justice and social inclusion. So that does mean on the one hand that means asking how we can support those farmers, for example upland sheep farmers, whose profit margins are more likely to be small but whose contribution to rural life and the maintenance of iconic landscapes is immense. And on the other it also involves taking action to end the currently indefensible situation we have at the moment where food producers are incentivised to send perfectly edible and nutritious surplus stock they have not sold to waste plants rather than charities who can distribute it to individuals in need. It is only, I believe, by looking at food policy in the round, developing an understanding of the economic, social, environmental, health and other issues at every stage in the food chain that we will develop the right coherent strategy for the future. And there are huge opportunities for those in agriculture to play the leading role in shaping this strategy. Rather than devoting intellectual energy and political capital to campaigning for policy interventions designed to insulate farming from change, agriculture’s leaders can respond to growing public interest in debates about food, animal welfare, the environment, health and economic justice by demonstrating, as so many in this room are doing, how their innovative and dynamic approaches are enhancing the environment, safeguarding animal welfare, producing food of the highest quality, improving public health and contributing to a fairer society. Now given the scale, and nature, of the change which is coming I recognise that farmers need to be given the time, and the tools, to become more adaptable. We’ll be saying more about our plans in a Command Paper to be published later this spring. And of course the proposals we outline will have to be subject to consultation. But I want to say a little about the direction of travel I think we should take. I believe we should help land owners and managers to make the transition from our current system of subsidy to a new approach of public money for public goods over time. We will formally leave the EU in March of 2019 but the Government anticipates that we will agree an implementation or transition period for the whole country with the EU lasting for around another two years. We have guaranteed that the amount we allocate to farming support - in cash terms - will be protected throughout and beyond this period right up until the end of this Parliament in 2022. We will continue support for Countryside Stewardship agreements entered into before we leave the EU and we will ensure that no one in an existing scheme is unfairly disadvantaged when we transition to new arrangements. We will pay the 2019 BPS scheme on the same basis as we do now. I then envisage guaranteeing that BPS payments continue for a transition period in England, which should last a number of years beyond the implementation period, depending on consultation. During these years, we propose to first reduce the largest BPS payments in England. We could do this through a straight cap at a maximum level or through a sliding scale of reductions, to the largest payments first. After the implementation period, this transitional payment could be paid to the recipient without the need to comply with all the onerous existing cross-compliance rules and procedures. Inspections would, of course, continue but in the streamlined and risk-based fashion I described earlier. Provided our own animal welfare, environmental and other laws were observed this payment would be guaranteed. This should provide every existing farmer who receives a BPS payment with a guaranteed income over this extended transition period. That guaranteed income should provide time for farmers to change their business model if necessary, help to make the investment necessary for any adjustments and prepare for the future. We will also look at ways to support farmers who may choose to leave the industry. And, after that transition, we will replace BPS with a system of public money for public goods. The principal public good we will invest in is of course environmental enhancement. In thinking about how better to support farmers in the work of environmental protection and enhancement it’s critical - as everyone in this room but not everyone outside appreciates - to recognise that there is no inherent tension between productive farming and care for the natural world. I have seen for myself how many of our best farmers – our most productive and progressive farmers – place thoughtful environmental practice and careful husbanding of resources at the heart of their businesses. Take the vital question of soil health. Min or no till approaches, which require less expenditure on inputs and of course keep more carbon in the soil, are both economically more efficient and environmentally progressive. But under the CAP, farmers have been encouraged to focus on yield overall, rather than productivity specifically. This has led to decades of damage in the form of significant and destructive soil erosion – estimated in one study by Cranfield University to cost the economy around £1.2 billion every year. We now have opportunity to reverse this unhappy trend. Sustainably managed land is far more productive than land that is stressed and stripped of its nutrients. But moving to more sustainable and, ultimately, productive farming methods can involve transitional costs and pressures. So we plan to provide new support for those who choose to farm in the most sustainable fashion. And as well as supporting progressive and productive farming methods we also want to support what economists call the provision of ecosystem services. Building on previous countryside stewardship and agri-environment schemes, we will design a scheme accessible to almost any land owner or manager who wishes to enhance the natural environment by planting woodland, providing new habitats for wildlife, increasing biodiversity, contributing to improved water quality and returning cultivated land to wildflower meadows or other more natural states. We will also make additional money available for those who wish to collaborate to secure environmental improvements collectively at landscape scale. Enhancing our natural environment is a vital mission for this Government. We are committed to ensuring we leave the environment in a better condition than we found it. And leaving the European Union allows us to deliver the policies required to achieve that - to deliver a Green Brexit. But vital as investment in our environment is, it is not the only public good I think we should invest in - I believe we should also invest in technology and skills alongside infrastructure, public access and rural resilience. There is a tremendous opportunity for productivity improvement in our farms. We already have some of the best performing farms in the world and there is no reason why our farmers cannot lead the way globally in achieving better levels of productivity through adoption of best practice and new technologies. On technology, we should build on the innovations pioneered by our superb higher education institutions like Harper Adams University by investing more in automation and machine learning, moving from the hands-free hectare to the hands-free farm, with drilling, harvesting, picking and packaging all automated, precision mapping of every inch under cultivation with targeted laser treatment of pests and weeds and highly-focussed application of any other treatment required. We should invest more in the sensor technology that can tell where, when and how livestock should be fed, housed and bred to maximise both yield and individual animal health and welfare. And we should ensure the next generation of farmers are equipped to make the most of technological breakthroughs by better integrating the research work being undertaken by the most innovative institutions with the ongoing training those working on the land should receive. I hope to say more about how we can reform land-based education again later in the spring. Critical to making this new investment in tech and skills work is of course proper infrastructure - super-fast broadband and reliable 5G coverage. If I can get reliable and unbroken mobile phone and internet coverage in a tunnel under the Atlantic as I travel between one Faeroe Island and the next I should be able to get it in Oxfordshire. So I am delighted that my colleague Matt Hancock has made it a priority to ensure rural areas get the digital infrastructure they need and I will do whatever I can to help. Public access I know can be contentious and I won’t get into the weeds of the debate on rights of way now. But the more the public, and especially school children, get to visit, understand and appreciate our countryside the more I believe they will appreciate, support and champion our farmers. Open Farm Sunday and other great initiatives like it help reconnect urban dwellers with the earth. And they also help secure consent for investment in the countryside as well as support for British produce. So public access is a public good. Finally there is rural resilience. There are any number of smaller farm and rural businesses which help keep communities coherent and ensure the culture in agriculture is kept healthy. Whether it’s upland farmers in Wales or Cumbria, crofters in Scotland or small livestock farmers in Northern Ireland, we need to ensure support is there for those who keep rural life vital. The work of the Prince’s Countryside Fund has been invaluable here and the kind of enterprises that it supports are, I believe, worthy of public support. I recognise the list of public goods I have identified is not exhaustive. But then our budget is not unlimited. I look forward to consulting on these priorities but we must start from the presumption that we should only support clear public goods the market will not, left to itself, provide. Which takes me to the importance of natural capital. In thinking of our countryside, and of rural life overall, is that its overall worth to us goes far beyond its economic value alone. Like everyone here, I am moved by the beauty of our natural landscapes, feel a sense of awe and wonder at the richness and abundance of creation, value wild life as a good in its own right, admire those who work with nature and on our land, respect the skill and passion of farmers, growers, shepherds, stockmen, vets and agronomists who provide us with safe, high quality food and drink, and I want to see them prosper. I know these feelings are shared across the country. But capturing these values in public policy can sometimes be difficult. Which is why the natural capital approach can be so valuable. It allows us to bed into policy-making a direct appreciation of the importance of field and forest, river and wetland, healthy soil and air free from pollution. It is just one tool among many in the formation of policy but a very powerful one in ensuring that we think of our responsibility to future generations to hand on a country, and a planet, in a better state than we found it. And that has to be the aim for all our policies on food, farming, the landscape and our broader environment. We have to embrace change which secures a more sustainable future for those who will inherit what we have built.